We are focused on endeavoring to provide projects which are great value for money, yet high on style, design, comfort and returns. Keeping these fresh ideas in mind, we recently launched 3 successive projects which received tremendous response in our flagship project. As a matter of fact, within a short span, we are one of the faster growing real estate companies in the country to day with our customer base steadily increasing. Residential plots with EMIs....4000 per sq. yard. Company: NKV Farms House and Developers Pvt. Ltd. 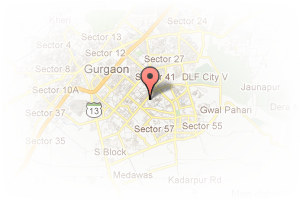 Address: House No.746-P, Sector-38, Gurgaon, Haryana, India. PropertyWala.com » Gurgaon Real Estate » Gurgaon Brokers / Agents / Consultants » NKV Farms House and Developers Pvt. Ltd. 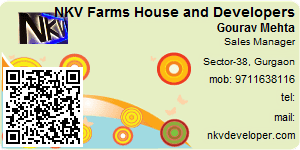 This Broker Profile page for "NKV Farms House and Developers Pvt. Ltd." has been created by PropertyWala.com. "NKV Farms House and Developers Pvt. Ltd." is not endorsed by or affiliated with PropertyWala.com. For questions regarding Broker Profiles on PropertyWala.com please contact us.